This somewhat whimsical small antique stone weight with a frog on the top of a melon shows a love and blending of art and nature in Chinese art and culture that is evident throughout the history. The philosophy behind it shows the ancient wisdom and concept of co-existence among all living. 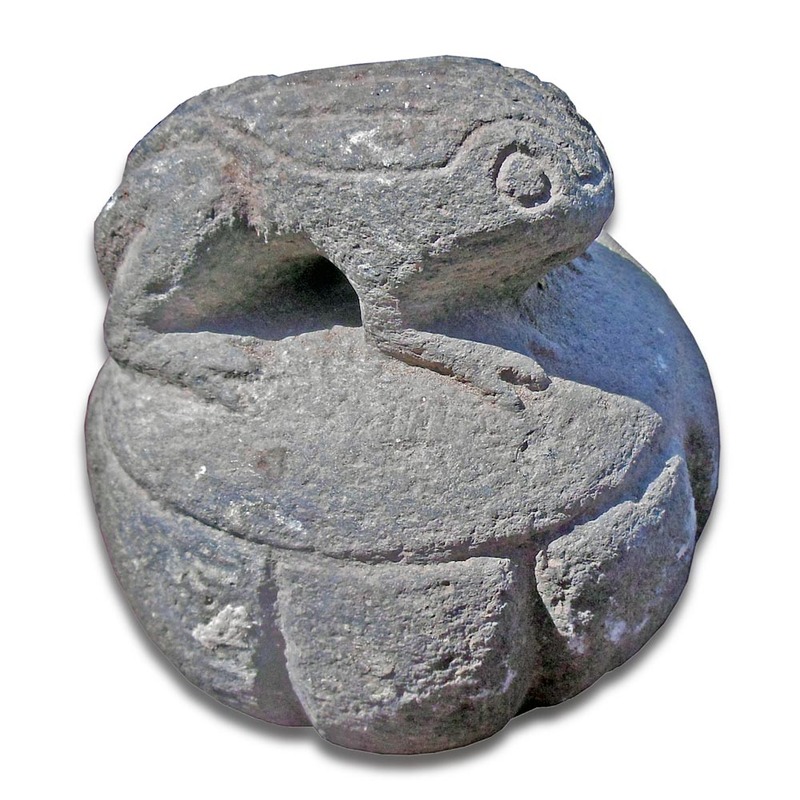 Frog has long been used since the ancient time and in many tribal cultures as a religious symbol or for worship. Shen's small stone object collection consists of over 100 objects of various types of carved stone weights, property markers, and others, with the most interesting and rarest motifs, including musician, figures, animals such as deer, cow, lion, and others, crab, seasonal vegetation, and other uncommon subjects.